I’ve been making tons of new friends through the Blogsgiving Dinner collaboration, which has been awesome, but now it’s even harder to open Instagram without drooling. Which, you know, is totally fine by me. If you’ll remember from my Instagram 101 series over the summer, you’ll know it’s one of my favorite spots for inspiration. I love following food photographers on Instagram because it helps me be a better food photographer. If you’re looking to up your #foodporn game on Instagram for the upcoming holidays, I suggest you give these people a follow. 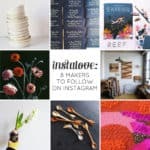 I firmly believe in following the kinds of people you want to emulate in your posts, and each of these 8 food Instagrams to follow employs different photographic techniques you can learn from. 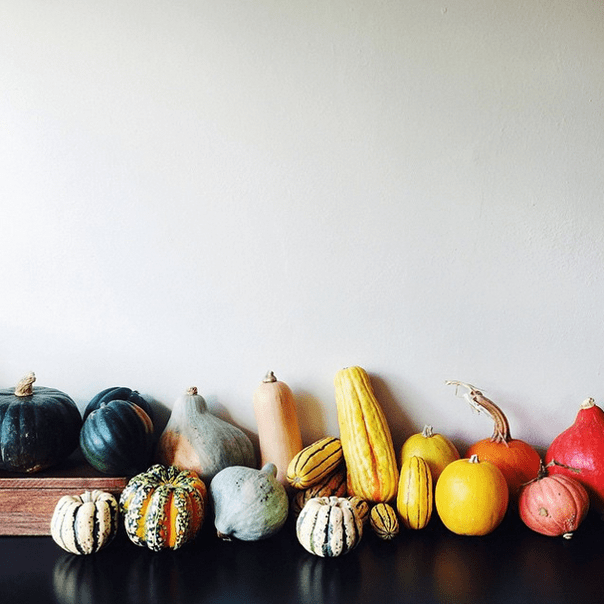 Click through to see which ones I chose, and to get ideas for composing your own great food shots this Thanksgiving. 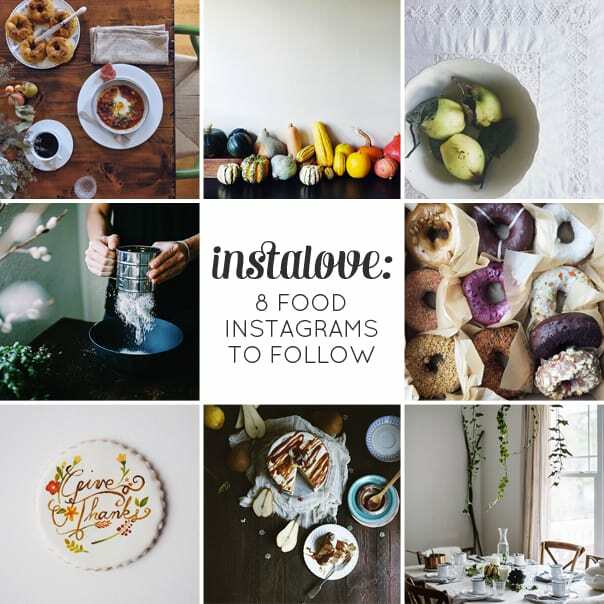 Click below to see my 8 food Instagrams to follow! Seattle photographer Brittany Wright (@wrightkitchen) has a penchant for photographing raw ingredients. Her #foodgradients series shows foods arranged in beautiful ombre order. Her photos always have me thinking about photographing food before I make it into something else. Gourds, apples, green beans — what do they look like before they become pumpkin pie, baked apples and casseroles? 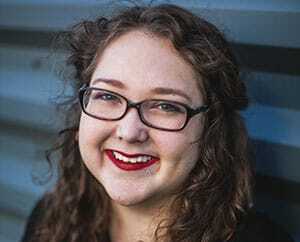 Check our Brittany’s feed for ideas to emulate. Berlin food blogger Marta Greber (@whatforbreakfast) photographs a lot of what she eats for breakfast, among other things. I love her in-progress shots like this one that show the actions behind making food. 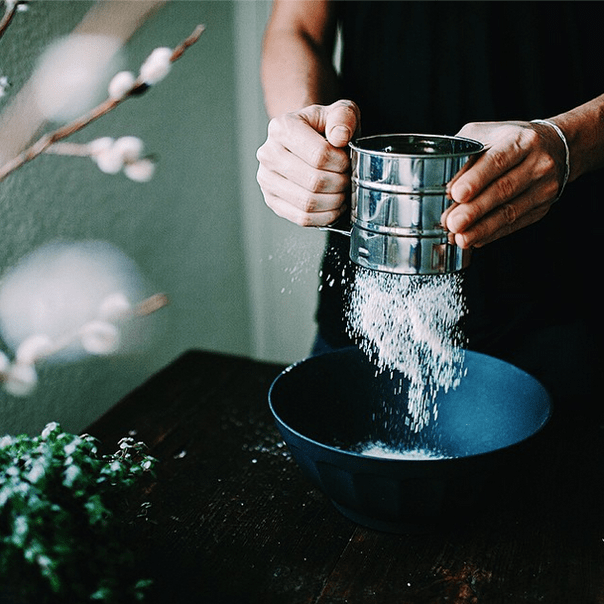 There are a lot of beautiful idiosyncrasies of baking and cooking that we don’t think to photograph — measuring flour, stirring a pot, cutting shapes into cookie dough. If you’ve got helpers in your kitchen this year, ask them to model for you. 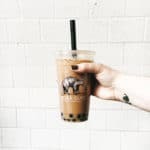 Joann Pai (@sliceofpai — also one of my favorite Instagram names ever) is a food and travel photographer based in Paris and Vancouver. She takes beautiful overhead shots of food arranged on a table, sometimes with hands reaching for food and drinks. To take shots like this, move your subjects closer together than normal and stand on a chair to take the shot. Carefully. Food photographer and writer Beth Kirby (@local_milk) has a moody, light-filled feed that captures more than just finished foods. You’ll find still life photos of kitchens, tables and picnics as well as in-process shots and finished food products. 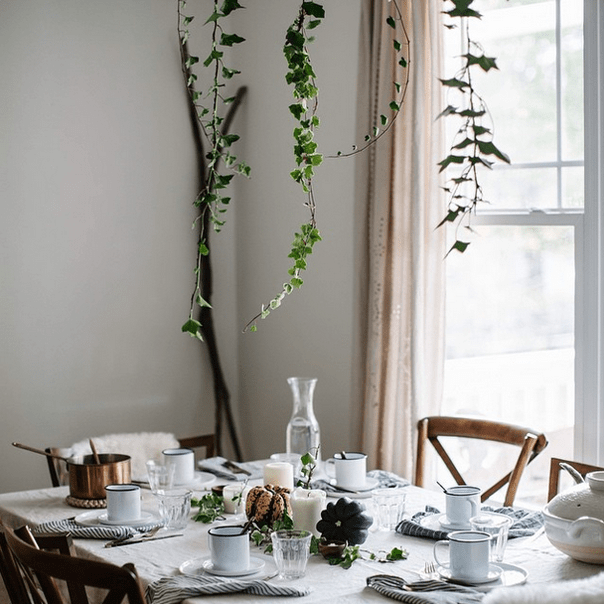 Your messy kitchen, though, or even your ready-to-go dining room table might have just as much visual interest as your food. Try shooting them during the day when the light is bright. Tap the whitest part of your screen when you’re taking a phone photo so you can expose everything in the shot. New York City-based photographer Alice Gao (@alice_gao) isn’t just a food photographer, though food often makes an appearance in her feed. 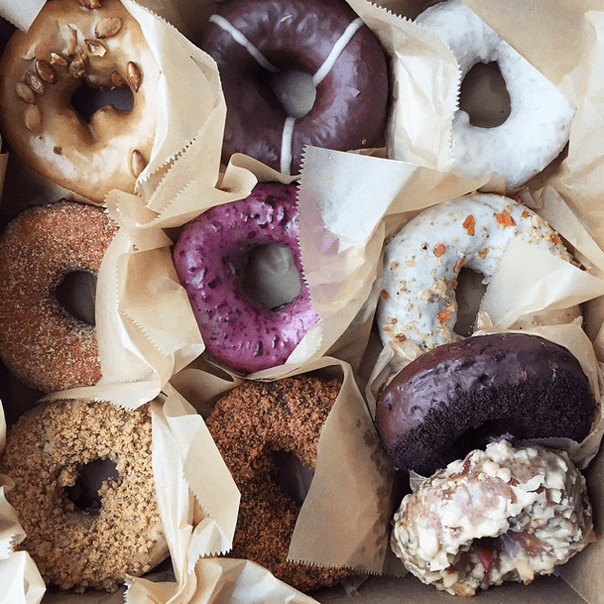 I love this shot of doughnuts for its messy, colorful details. The greasy paper is a nice touch here. 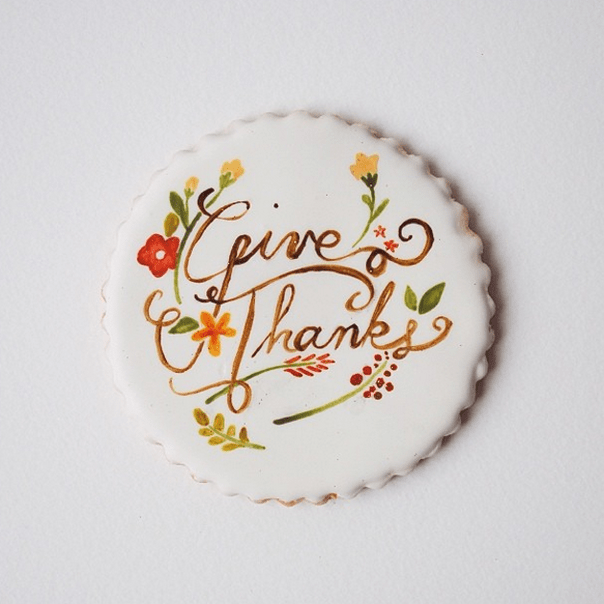 Put your food in a bright spot, and get up close and personal to show the gritty details. It’ll make someone hungry. 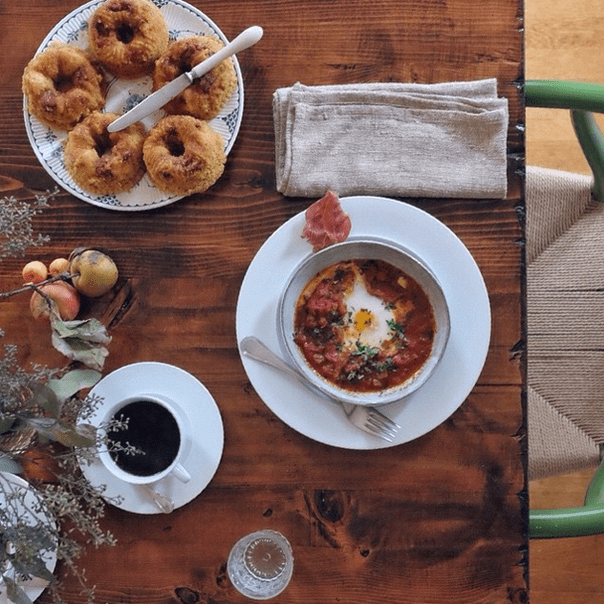 Photographer and blogger Aran Goyoaga (@cannellevanille) is one of my biggest food photography inspirations. 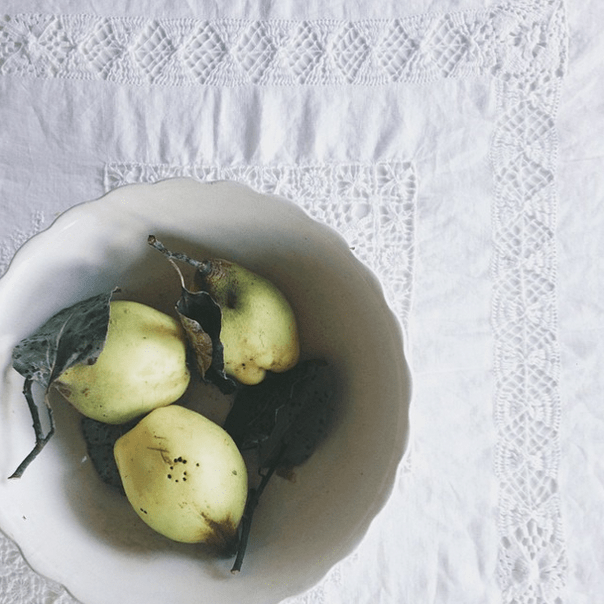 I love the attention she pays to the surfaces behind her photos — her gorgeous compositions almost always take place on a lovely tablecloth. Look for textured wooden chopping boards, scratched up cookie sheets or beautiful linens that complement the colors in your food. Attention to detail and texture will elevate your images. Food stylist Gabriel Coco (@artfuldesperado) often showcases finished food among the ingredients that went into it. 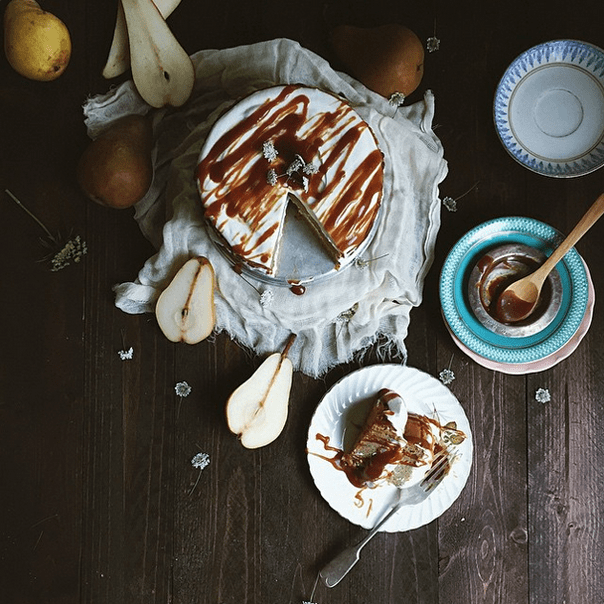 Here, a pear cake with pears and a wooden spoon with caramel. I love the way he pairs the in-progress with the finished product to really show off what went into making the food. It evokes the sense of smell and an appreciation for the hard work that went into the dish. 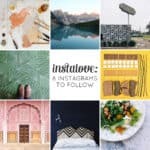 Some GREAT IGers on the list! Food photographers are so impressive! They can make everything look so amazing, all the while battling separating sauces, melting, steam, etc. 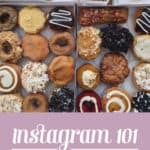 These IG foodies look great! Thank you so much for this! I have been looking for some good food bloggers to follow. These are all fantastic. Beautiful photography Susannah. Thanks for sharing the art of these talented shooters. And keep up the great work; love your blog.